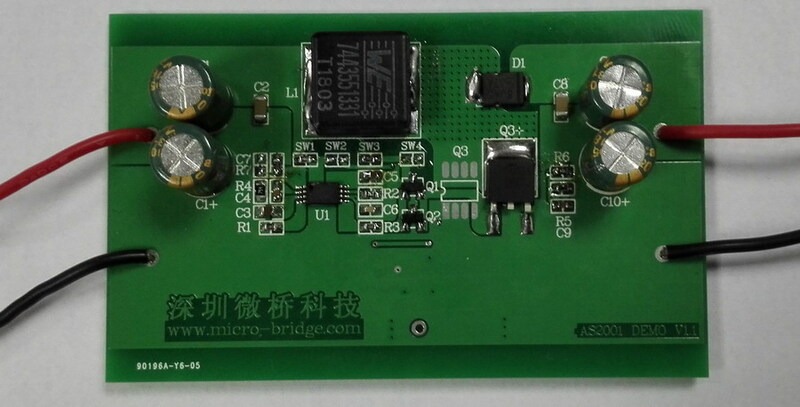 The AS2001 is a boost topology switching regulator control IC for battery-powered applications. The AS2001 includes a totem-pole single output stage for driving NPN transistor or N-MOS, high precision reference voltage(0.5V) to compare output voltage with feedback amplifier, an internal duty time control for controlling the minimum duty cycle, programmable soft start with short circuit protection function and logic level control for operating mode or standby mode.  High Oscillator Frequency: 1MHz max.